Home » My 100th Blog Post! 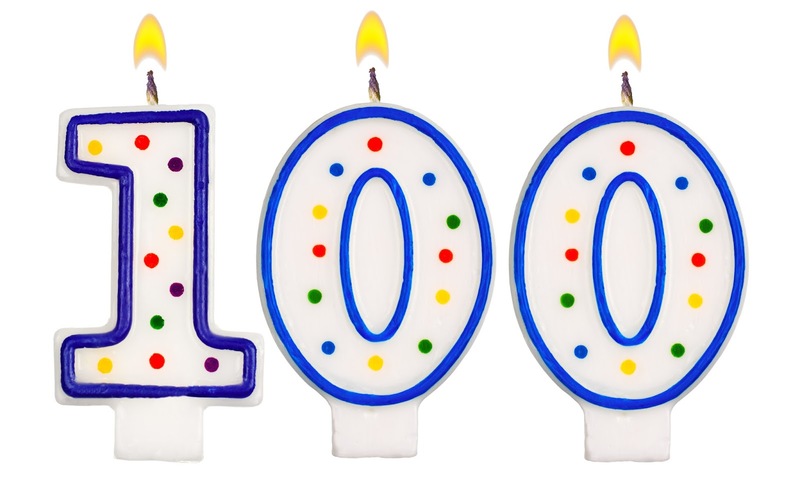 This is my 100th Blog Post! Hurrah! For someone who has a hard time committing, this is something to celebrate. In celebration of this occasion, I wanted to do something different and fun for you. I found this Tag and it sounded perfect: The 100 Questions No One Ever Asks. 100 Blog Posts – 100 Questions…See what I did there?! Ok, I’ll shut up. It’s probably best I get to it because 100 questions is quite a lot…Here we go! Tucked In! I hate when they come undone. I try to only cut them out only if I’m going to use them…but you can see differently from the expired coupons I found in my bag the other day. Many things…close talkers, repetition, voluntary ignorance, CLOSED MINDED PEOPLE!!! Just to name a few. Does peeing in a ditch on the side of the road count? Yes…much to my family’s chagrin. Umm…well, I’m married…so just the one…my DH. I’m loving G-Eazy – Tumblr Girls right now. Sure! Just not neon pink…definitely not neon pink. This question should be, “Do you watch anything OTHER than cartoons?” My kids are always bogarting the TV and ALL they watch are cartoons…and not the good ones. Humpf! Why would I tell you!? The same thing I drink all of the time…water. Asian inspired foods (including sushi and ramen) mostly, but it is hard to choose. I just like food. Girl Scout, for 9 years. Hmm…I wouldn’t rule it out. Yes…that was something we learned in Girl Scouts…go figure. No, but I am terrified of that happening. What I normally eat is yogurt and Belvita Breakfast Biscuits. But my DH makes the BEST waffles and scones…those are great! Also, quiche…I love quiche. I’ve never watched either…is that bad? Last Fall for our family holiday photos. Yes, but I love them. For me, yes…but I try not to let it get too crazy. Fritos – the Honey BBQ twisty ones – so addictive! Do you mean like Ballet or Ballroom? If Ballet, yes. If Ballroom, no. I don’t plan on having a FUTURE spouse, but I can see my CURRENT spouse owning his own restaurant. No, but I was in one in middle school. Yeah, I’m sure I have. Yellowcard and it was amazing!!! The answer used to be coffee (and I still love coffee, it just doesn’t like me so much), now I prefer tea (Harney & Sons Tea to be exact)! Band, but when they take breaks, someone playing songs from iPod or something. I don’t recall having a crush in high school…I “dated” people, but don’t recall any crushes. Well…I want the ones I have. Yup, my sister and my best friend. I never get to see these 2 people enough! If you do or have done this tag be sure to leave your link in the comments so I can check it out! Thanks so much for stopping by and I appreciate all of you (including long time readers and new ones)! Next Post Get That Summer Glow!